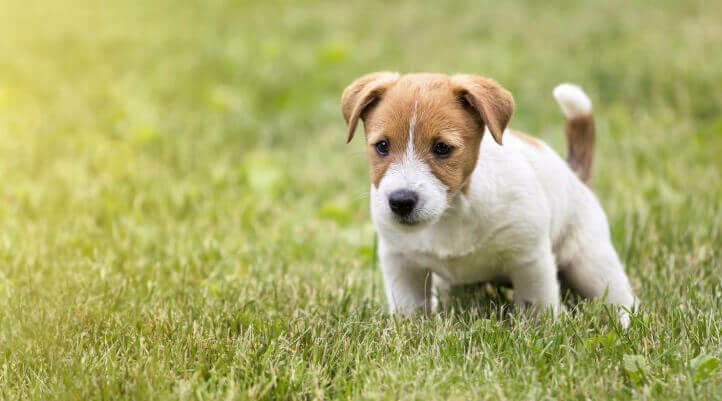 Is Dog Urine Killing Your Grass? You Can Fix It. Bald spots in your lawn are not only unsightly but also discouraging. You’ve put in a lot of work to create that perfect front lawn. There could be several reasons for the bald spots but in my experience, the number one cause is dog urine. And yes, you could have this problem even if you don’t own a dog! What Causes Urine Dead Spots? To see if your bald spots are caused by dog urine examine the areas. Urine burns are easily recognized by a brown dead area of grass surrounded by a healthy green ring. This is because the dog’s urine contains nitrogen and can act as a fertilizer – hence the bright green ring. As with most things in life, you can have too much of a good thing. With repeated exposure to urine, the nitrogen becomes too concentrated and kills the grass. As the owner of both male and female dogs, it is likely the latter that is causing the problem. Males tend to mark thereby dispensing their urine is several places around your yard whereas the squatting female will leave a large pool of urine in one place and “burn” the yard. It is feasible though that a male dog could be the culprit through repeated marking. However, I think the location would be closer to a shrub or building corner and not as disruptive to your landscaping. If your home is a dog-free zone you could still have these ugly bald spots. Neighbors walking their dogs are generally focused on picking up poop and may not be concerned with a little sprinkle here and there. The problem is that the urine smell serves as a beacon to all the other dogs who pass by your yard. You may think that simply adding some grass seed is the answer. But before you can do that you need to eliminate the high nitrogen levels in the soil. Remove the dead grass from the affected area using a spade or shovel. You’ll need to cut out the affection section plus a bit of the underlying soil. Replace the missing grass with some good quality topsoil. Spread a thin layer of grass seed into the soil and run over it with a rake. I recommend putting a thin layer of straw over the area to keep birds and other animals from feasting on your grass seed. Water thoroughly and continue to water twice a day. You should begin to see evidence of growth in about 7-10 days. If you are a dog owner, create a specific area for your pet that includes gravel or other non-grass surfaces. 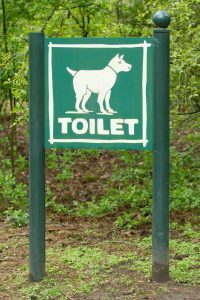 If you do not have that option, apply water to your dog’s urination spot. Diluting the urine dilutes the nitrogen and minimizes the impact to your grass. Do you have neighborhood dogs that frequently urinate on your lawn? If so you can try the same steps. Can you apply gravel or mulch to your property that borders the street or sidewalk? If you have a sprinkler system run the sprinklers more often so that the urine is diluted. There are types of grasses that are more impervious to urine. 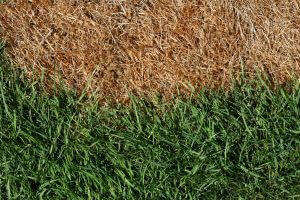 If you have Bermuda or Kentucky Bluegrass you may want to consider switching to either Fescue or Ryegrass. There are products made to give to your dog to help neutralize the nitrogen in your dog’s urine. I have never tried them and there are mixed reviews on the internet. Personally, I feel the risk to my dog is too great to try them. While dead spots in your yard are a nuisance they can be remedied with a little effort and a lot of patience.